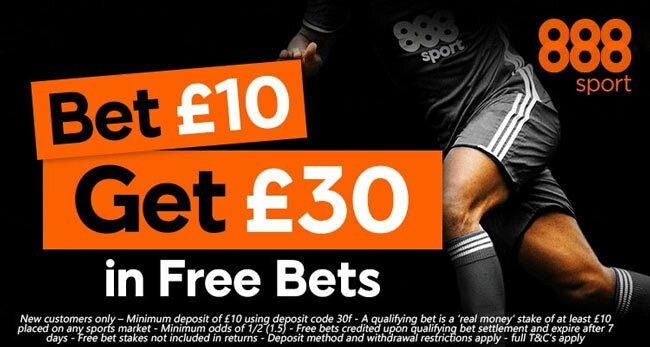 If you are new to 888sport, this is the best time to join the world-leading bookmaker as you can get a 300% bonus on your first bet! Claim an exclusive and limited-time offer and enjoy your betting experience at 888sport! 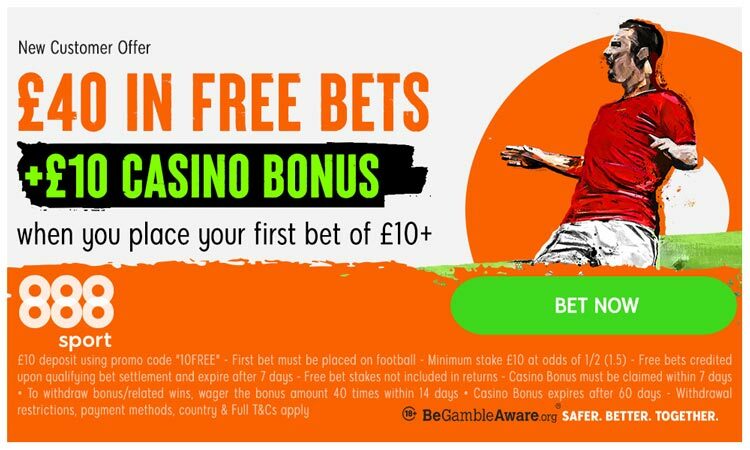 Do note, any free bets must be used within 7 days of being credited otherwise they will be removed. New customer depositing with Neteller or Skrill/Moneybookers are not be eligible for the promotion. 888Sport is widely regarded as one of the world’s most exciting sportsbook operators. The firm is very popular in UK and their logo has become a familiar feature at British racecourses and sporting events. The site is easy to use and the free bet gives you a chance to experience all of the services available before parting with large volumes of your own cash. New Customers only. £10 min deposit. Min Bet £10 at odds of 1/2 (1.5) or greater, must be placed within 90 days from registration. Free bet stakes not included in bet returns. Free bets are credited upon qualifying bet settlement and expire after 7 days. £10 (out of £30) Free bets are available to use only on mobile. This offer may not be combined with any other offer. To withdraw bonus & related wins, wager 30 x (bonus amount) within 7 days • Wagering req. vary by game • Bonus wins capped at £500.